See the Profiles page in the Weave Primer for a general overview. library_books Status Report — legacy status and error reporting. Secondary profiles and traits sit atop the Weave core and primary profiles. 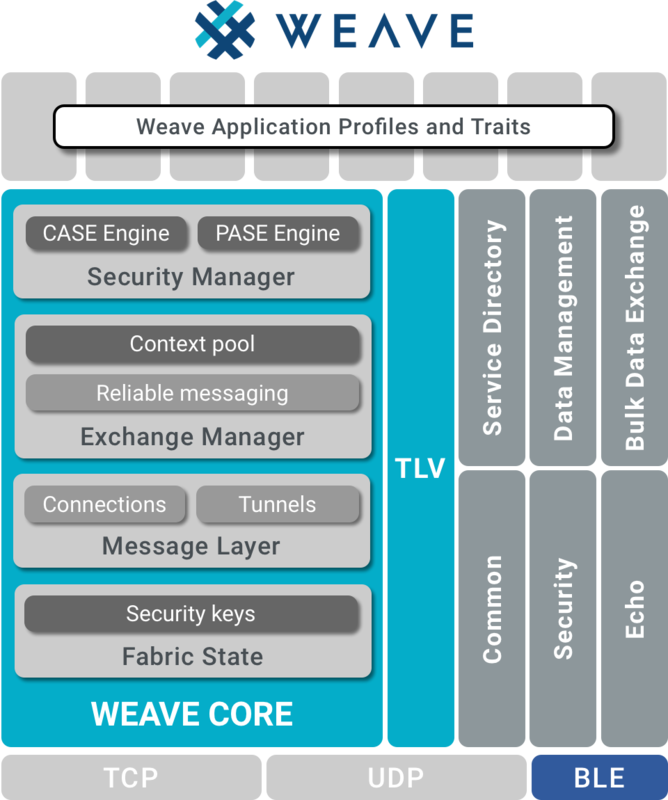 Weave uses the underlying transports of TCP, UDP, and BLE to pass Weave messages. TCP and UDP use both IPv4 and IPv6 over technologies such as Thread and WiFi, while BLE is treated as point-to-point links without routability.